Disclaimer: I received this product for free from the sponsor of the Moms Meet(SM) program, May Media Group LLC, who received it directly from the manufacturer. 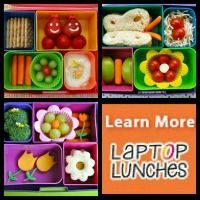 As a Moms Meet(SM) blogger, I agreed to use this product and post my opinion on my blog. My opinions do not necessarily reflect the opinions of May Media Group LLC or the manufacturer of the product. I'm a fan of salads, so when I was given the opportunity to try some Fresh Express Salad mixes, I jumped at the chance! I chose the Fresh Express Veggie Lover's mix for myself, since it had an assortment of lettuces, as well as carrots and radishes and peas. Nom! Since the Fresh Express salad mix already had a nice assortment of veggies, I only added some cherry tomatoes. I packed my add-ons separately to keep them crunchy. They include hemp hearts, chia and sunflower seeds, raisins, and vegetarian coconut bacon bits. And rosemary vinaigrette dressing. Yummy! Kind of like a BLT sandwich, only much healthier! And speaking of healthier, Fresh Express has launched the 30-Day Salad Swap! "The Fresh Express 30-Day Salad Swap lets you recreate the flavors of your favorite higher-calorie foods, like cheesy pizza and creamy pasta, in lower calorie salads. 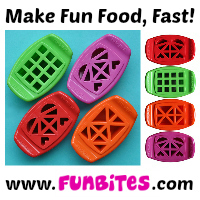 Swap one meal a day for a month and you'll not only feel better, you'll earn money-saving coupons all along the way!" Sign up for the 30-Day Salad Swap for free, and get the app too, with recipes and ideas, progress tracking, and more! Since Fresh Express sent me coupons for wayyyy more salad than I could possibly eat in time, I decided to share the love and feed the staff at my Kindergartener's Elementary school! 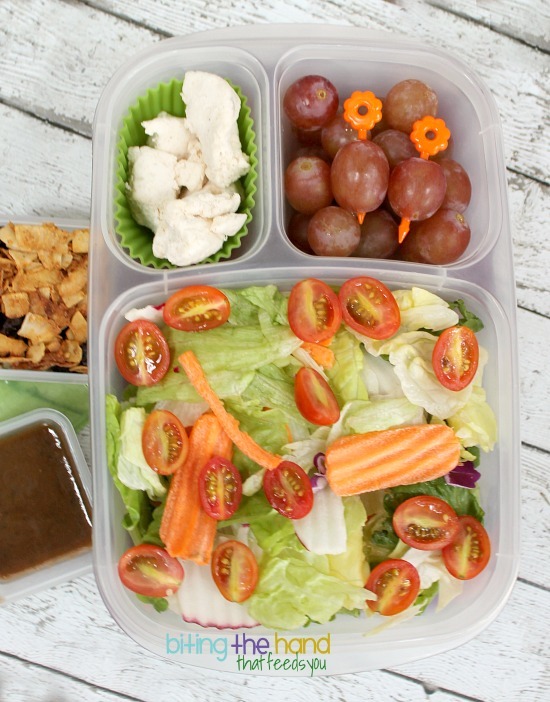 I chose four Salad Swap recipe ideas to make for the 50+ faculty at school. Instead of blueberry pancakes, why not try a Red, White and Blue Salad? This is the one I would choose for myself. I love fruit in my salads! 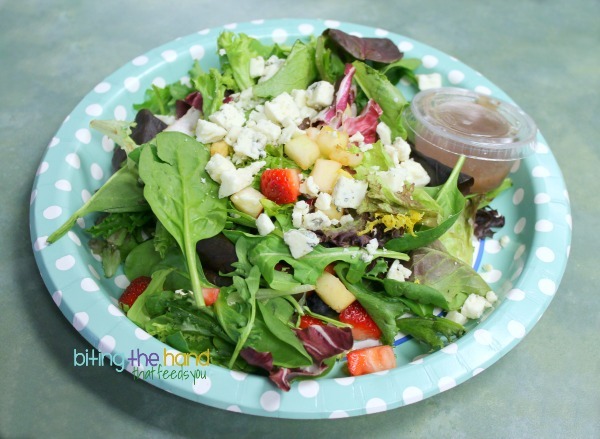 This salad uses Fresh Express 50/50 Mix, plus strawberries, blueberries, pear, Gorgonzola, lemon zest, and raspberry vinaigrette dressing. I had prepped all the ingredients the night before, and the sliced pears didn't make it. They were all brown and mushy the next morning. So I had to sub in diced apples last-minute. 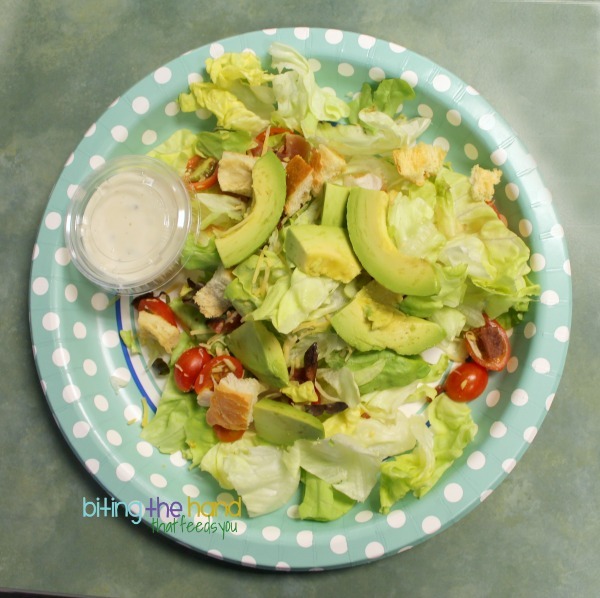 Instead of a BLT sandwich, try a BLT salad! This salad uses Fresh Express Butter lettuce mix plus tomatoes, bacon, avocado, croutons, cheddar cheese, and Ranch dressing. I couldn't find any pre-made croutons at the store that didn't contain an artificial petroleum-derived preservative, so I ended up having to buy a hunk of French bread and making my own croutons. I hate making ingredients! No clue how they turned out, since I bought gluten bread and couldn't taste-test. Instead of Pad Thai, try a Pad Thai salad! This was both the easiest and the hardest one for me to make. It was easier in that I just had to buy the Asian Kit and top it with some shrimp. But I don't like cooking with or touching meat. I bought pre-cooked shrimp, and opted for the less exciting little popcorn shrimp versus the larger ones with tails called for in the recipe. 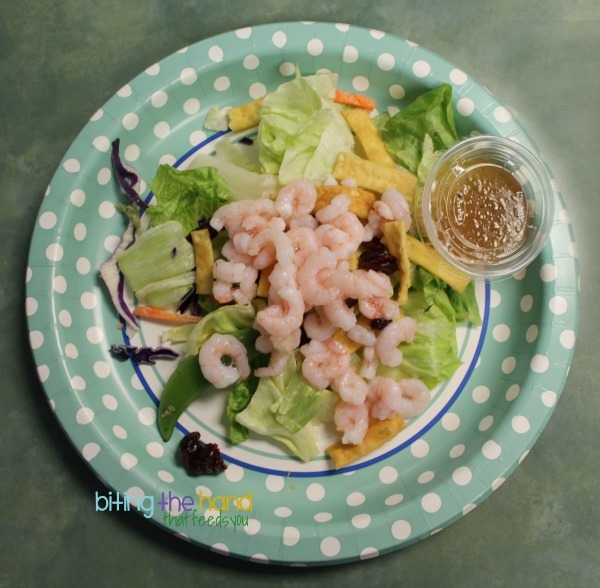 Hubby ended up taking the morning off of work to help me wrangle the toddler and assemble all the salads at the school, so luckily he was there to distribute the shrimp so I didn't have to touch them! 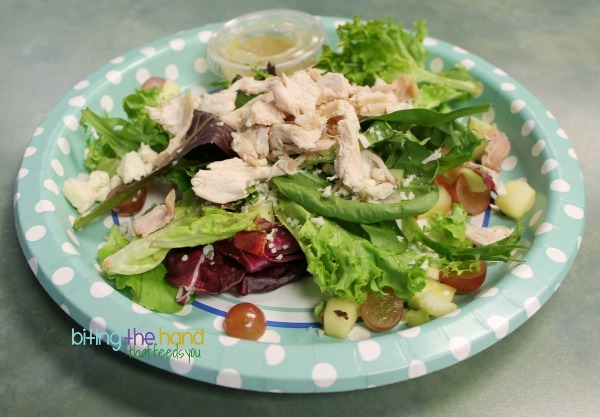 Instead of a Chicken Salad Sandwich, try a Chicken Salad with grapes and apples and celery! This salad swap uses the Fresh Express Spring Mix and a home-made honey mustard vinaigrette (recipe on the free Salad Swap app) along with some classic chicken salad mix-ins. I chose a rotisserie chicken for this one, which Hubby dismantled and shredded up for me, and added to the salads later. 52 plates take up a lot of space! 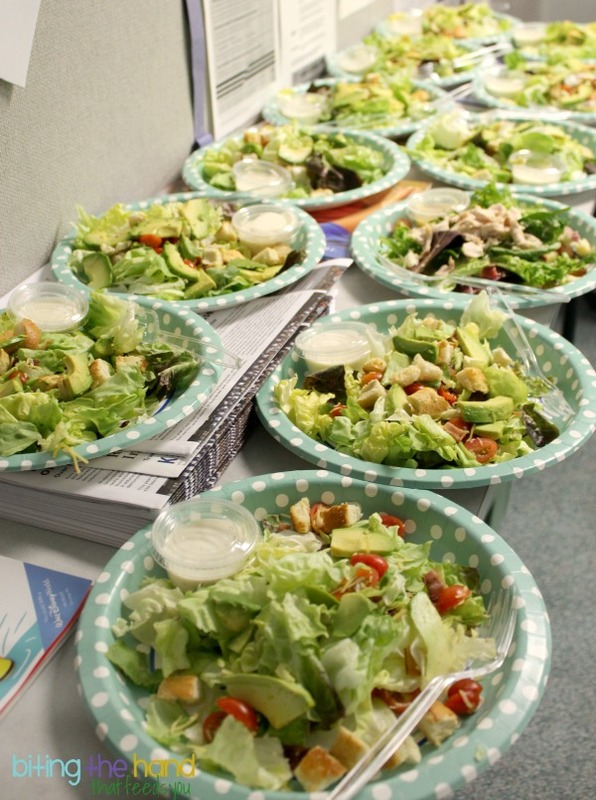 I had the employee break room surrounded by plates of healthy salad swaps! I wrote a little info on each option up on the white board, along with a note to thank the staff for everything that they do, and then left to let them start trickling in for their lunch breaks and enjoy their salads in peace! 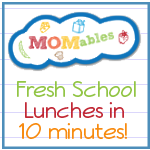 I did get several rave reviews later that afternoon when I came back to pick Z up after school though, so it sounds like these Salad Swaps were a big hit! So what do I think about Fresh Express Salad mixes? Their patented “Keep-Crisp®” breathable bags help them keep their just-picked freshness, without any preservatives. Since most companies use petroleum-derived preservatives, Mama's a big fan of preservative-free! It was amazingly nice to not have to wash and dry and chop each ingredient to have a rainbow of different veggies in my salad. And mind-staggeringly nice to not have to chop and prep all that myself for 50 people! Just chopping the few toppings I had to prep had us up late the night before! Fresh Express has a dizzying array of different mix options, from lettuce assortments to lettuce and greens to lettuce and veggies; as well as kits with everything you need from croutons and other toppings to dressing! I almost exclusively buy organic, and while Fresh Express has a line of organic options, they weren't available at the store near me. I'm not a fan of the package waste, but realistically, most produce comes with a package or is put in a plastic bag when you buy it anyway. So probably a wash there, if not actually less packaging waste! I personally prefer my salads chopped smaller, so I can get a little of everything in each bite. Plus I dislike having to bite through stuff on my fork. I prefer to be able to jam it all in my face at once. But that's a personal preference, and not enough of a big deal to stop me from buying these again in the future. The ease and variety of the Fresh Express options far outweigh the inconvenience of having to actually bite the lettuce. Hahaha! 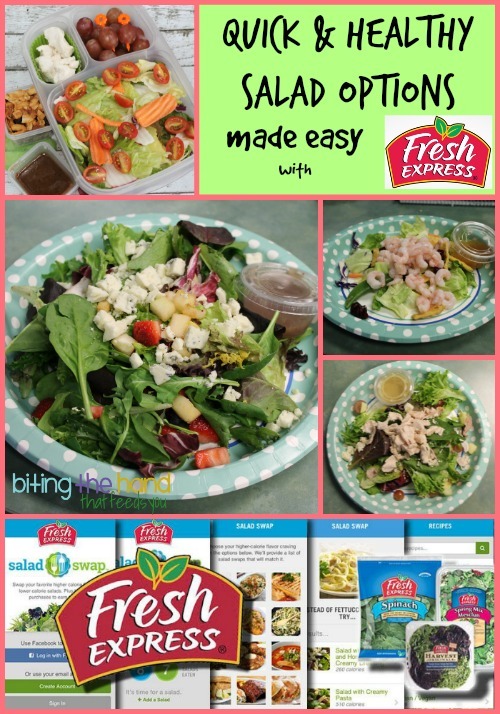 Interested in trying a Fresh Express salad mix? Go to Moms Meet to download and print a coupon! 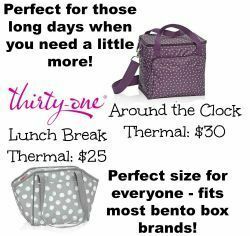 Be sure to follow Fresh Express on Facebook and Pinterest for more ideas and deals! Click here to find Fresh Express Salads at a store near you! And remember to sign up for the 30-Day Salad Swap and get the app to enjoy more coupons and some tasty healthy options!